Are you looking for better entertainment at home? Whether you are a loner and like to enjoy your movies alone with your popcorn at home or whether you love partying with friends and would like to throw a party every weekend, the entertainment scene at home should be updated with time. After all, we live in the 21st century and everything around us is “smart”. That is why you should opt for a large screen movie experience right inside your homes where you can enjoy the magic of a movie theater right from your couch. That is why this device is called the home theater system. We, at Dynamic Security, can help. We bring you a safe, secure, and enjoyable movie time in your own house. We have the advanced technology and the high-quality resources which can bring you a solid final product. We are a locally owned and operated company that has the perfect home efficiency solutions suitable for this age. So, if you belong to area like Aransas, Corpus Christi, Harlingen, McAllen, Port Aransas, or Rockport TX, you can resort to us without any hesitation. Here, we have put together a few crucial things to know before choosing a company for such essential entertainment equipment. Take a look. You need to make sure that the company has a substantial experience in this field and has been catering to the needs of people for quite some time now. So, you must know how long they have been in the business and whether you can rely on them or not. There are tons of products being manufactured everyday. You have to make sure that the quality of the home theater system you are investing your hard money into is of a top-notch level. 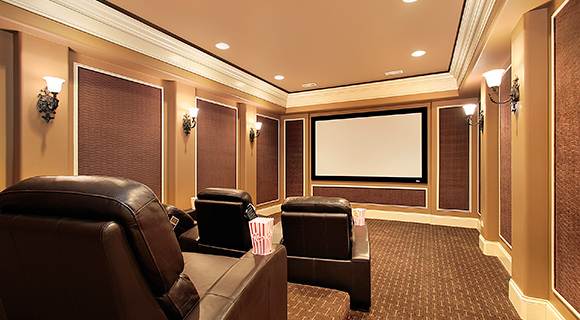 So, if you are planning to get a home theater at home, then you can contact us today.